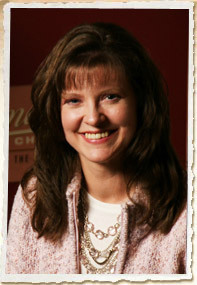 Amy Wallace is the author of Ransomed Dreams, Healing Promises, and Enduring Justice. She is a homeschool mom, speaker, and self-confessed chocoholic. Amy is also a graduate of the Gwinnett County Citizens Police Academy and a contributing author of several books, including A Novel Idea: Best Advice on Writing Inspirational Fiction and God Answers Moms’ Prayers. She lives with her husband and three children in Georgia.